Another week almost over! 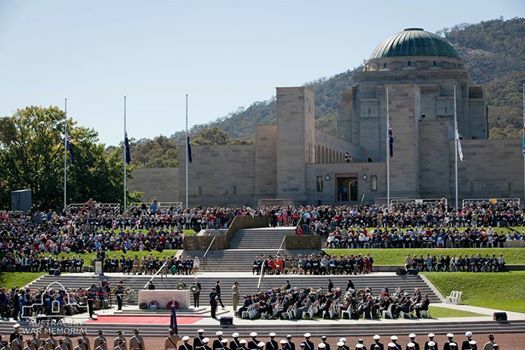 Here’s your guide to what’s on this weekend, including Canberra’s Anzac Day Centenary commemorations. The Australian War Memorial is hosting two ceremonies to commemorate the service and sacrifice of those who have served Australia during times of war and peace. The dawn service starts at 4.30am and the Anzac Day national ceremony starts at 10.15am. A special last post ceremony will be held at 4.45pm. The Canberra Services Club and the Canberra Irish Club will be hosting traditional two-up from 1pm to 6pm (over 18s only). Join a volunteer-led walking tour of a selection of the memorials on Anzac Parade on Friday from 5pm to 6.30pm and on Sunday from 10am to 11.30am. Meet at the Hellenic Memorial on the corner of Limestone Avenue and Anzac Parade, next to Reid Oval. ACTION Buses is offering free special services to the dawn service and the national ceremony, plus free bus travel for anyone wearing a service medal on regular route services. A Sunday bus timetable will operate on Anzac Day, and a Saturday timetable will operate on Monday 27 April. The ANU Women’s Department is screening the Australian film Sisters of War in honour of Anzac Day. It’s on Friday from 7pm at the Tank Lecture Theatre at ANU. See the Brumbies take on the Highlanders at GIO Stadium on Friday. Kick off is at 7.40pm. The Dock on Kingston Foreshore is screening 12 games of football – from all codes – starting at 11am on Saturday. With seven big screens, there isn’t a bad seat in the house. The Giants play the Gold Coast Suns in a historic Anzac Day match at 5.40pm at StarTrack Oval. 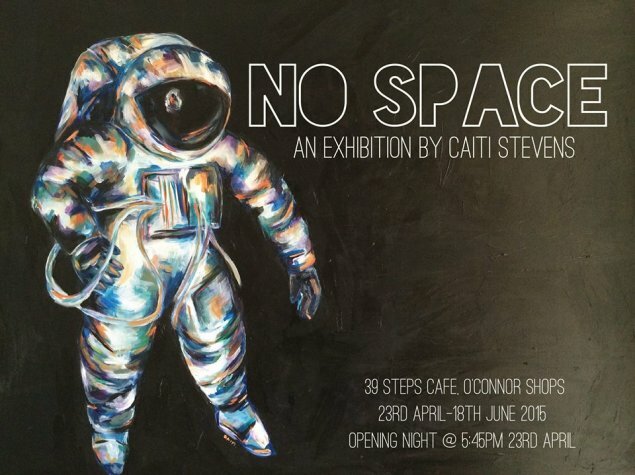 No Space, an art exhibition by Caiti Stevens, opens at 39 Steps Café in O’Connor tonight and runs until 18 June. Head to the Regatta Point Deck Café on Sunday for a swing dancing brunch. Everyone is welcome. Enjoy a delicious brunch then dance it off! Pack your pencils and scout around for some words because you are coming on an adventure… or, more accurately, a slambouree. Canberra Slambouree is the next iteration of the long-running Front poetry slam, and starts on Friday night at The Front at 7.30pm. Semantix, Monsterpiece and Helena Pop play at Transit Bar on Friday from 8pm. Entry is free. Singer, songwriter and guitar virtuoso Daniel Champagne performs at the RUC Turner Bowls Club on Friday night from 8pm. SAFIA plays at The Basement in Belconnen on Friday night from 8pm. Also at The Basement, Dansonfest, music festival dedicated to the memory of Nicholas Sofer-Schreiber, returns to Canberra for another year on Saturday. See three bands (Beneath Benetta, TEEM and Slow Turismo) for $5 on Saturday at The Phoenix. Animal Liberation ACT is hosting a vegan bake sale at Gorman House Markets from 10am to 4pm on Saturday. The Canberra Toy & Hobby Fair is on this Sunday at Kaleen High School from 9am to 3pm. Admission is $4 for adults, $2 for seniors and accompanied children are free. Mount Stromlo Observatory is hosting a public observation night on Friday night from 7pm. See the rings of Saturn, the craters of the moon and beautiful star clusters and nebulae. What are your plans for this weekend? Let us know in the comments below. 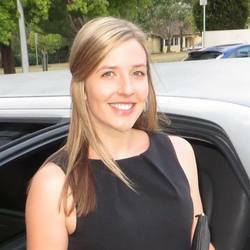 Tags 25th and 26th April 2015 anzac day 2015 anzac day weekend What's on this weekend? You forgot and seem to continue to forget about ice hockey in this town. Every weekend there are local competition games and travelling teams playing here. On Saturday is the first game for the Brave. Good luck getting a ticket though as the ice hockey community pick them up pretty quickly.Considering the phoenix-like rebirth of the Canberra team, it surprises me that there is such little media coverage of the sport. The other day one channel even had an article about wrestling (olympic not hulk hogan type) but we get very little about a sport where the city’s team is pretty successful. Hey Farnarkler, thanks for letting us know. We’ve plugged one or two of the local ice hockey games in previous weekend guides from memory, but the CBR Brave game this weekend wasn’t on my radar. I don’t mind watching the odd ice hockey game myself, so good to know that the season’s kicked off (and that getting in early for tickets is a good idea!). The Vikings Cycling Club are conducting a 50km Handicap race on Tidbinbilla Rd between Lookout Hill near Tharwa and the Tidbinbilla Visitors Centre. There will be a large number of cyclists on this road racing between 10am and 12pm on Sunday 26th. There is also likely to be many cyclists riding to and from this event via Point Hut Rd. Zierholz at UC is celebrating Anzac Day with two-up and Essendon vs. Collingwood on the big screen on Saturday. Also the National Museum of Australia’s cafe is hosting a dawn service breakfast from 6.30am with 10% of sales on the day going to the Anzac appeal.